Matt UK Ltd was established to create a viable solution to an ever-increasing market, classed within the recycling industry as a difficult waste. We opened our first recycling centre in 2009 to create a solution for mattresses, furniture and bulky waste. Matt UK Ltd.’s main recycling centre operates out of 12-acre site in Chatham ME4 4SR. Matt UK Ltd guarantees 100% landfill avoidance on all mattresses. The National Bed Federation (“NBF”) estimates that approximately 2 million various sized mattresses are manufactured in the UK every year. This figure does not include the mattresses that are imported into the UK on an annual basis. The average budget double mattress weighs 35 – 50 kilos. The annual contribution of mattresses to the waste stream is estimated to rise from 160,000 ton to 245,000 ton by the year 2016. With the lack of mattress recycling alternatives in the UK, Matt UK Ltd have established themselves as the leader in this field. 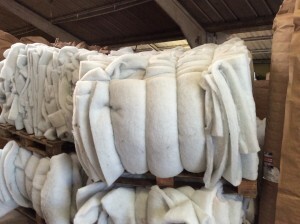 Matt UK reclaims and recycles, cottons, Polyester, woven pad, metal and foam. Each material has its own varying commercial use. 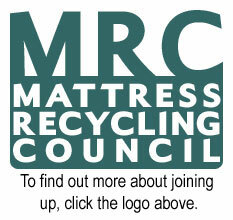 All recycled mattresses benefit various industries e.g. steel manufacturing, textile manufacturing and carpet manufacturing. This in turn creates gainful employment and reduces high dependency on landfill. With the continued growth in mattress production, there is need for mattress recycling to cope with the ever demands for mattress producers. Matt UK Ltd, where possible and agreed, donates all reusable mattresses to registered charities.